The latest technology - new effective advertisement. The most effective advertising tool on the market! With lighted LED Signs, you have an opportunity to communicate with your existing and potential customers, even when your business is closed. for new and novelty marketing opportunities. 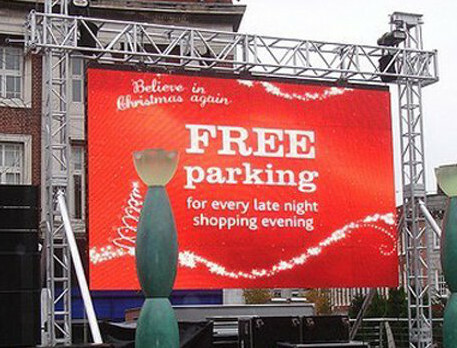 By owning an advertising led board you will increase your profits and look more professional. inform you customers where you are from hundreds of metres. Advantages for any business: person who has a property in good location, small businesses, large businesses and even for advertising agencies. Become a recognized business in your city, town, or any crowd event. LED BILLBOARDS so-called: Large Outdoor LED Screens, LED Advertising Boards, led Street Signs, led digital moving message, diode boards, signage applications, Outdoor promotional text graphic displays, electronic marquees, multi-line led display, etc.